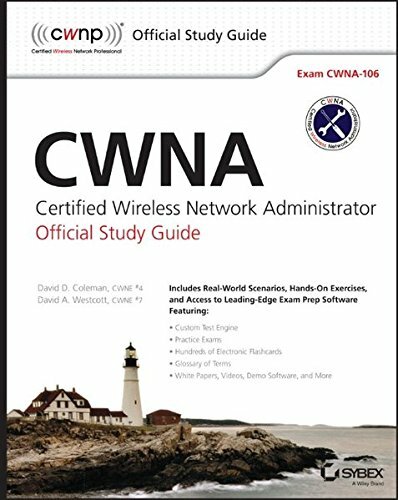 The CWNA: Certified Wireless Network Administrator Official Study Guide: Exam CWNA-106 is the officially endorsed CWNA test prep for the leading wireless certification. Expert authors and CWNEs David D. Coleman and David A. Westcott guide readers through the skills and concepts candidates need to know for the exam, using hands-on methods to convey an in-depth understanding of wireless network administration. Readers should have a basic knowledge of Radio Frequency behavior, experience with WLAN hardware peripherals and protocols, and an interest in designing, installing, and managing wireless networks.